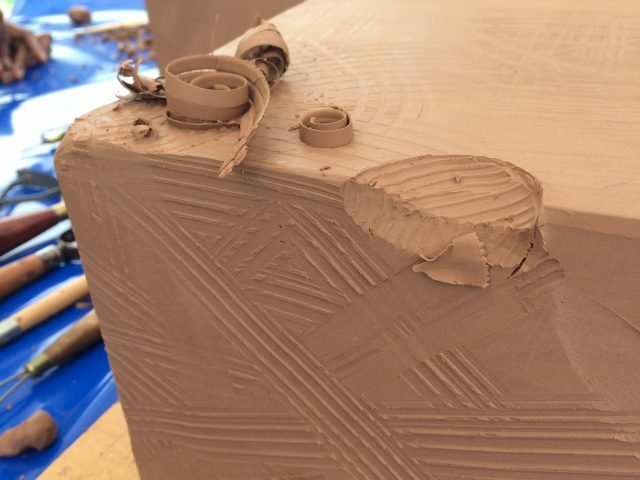 The 2017 One-Year-On Sarah residency was Sarah Christie. 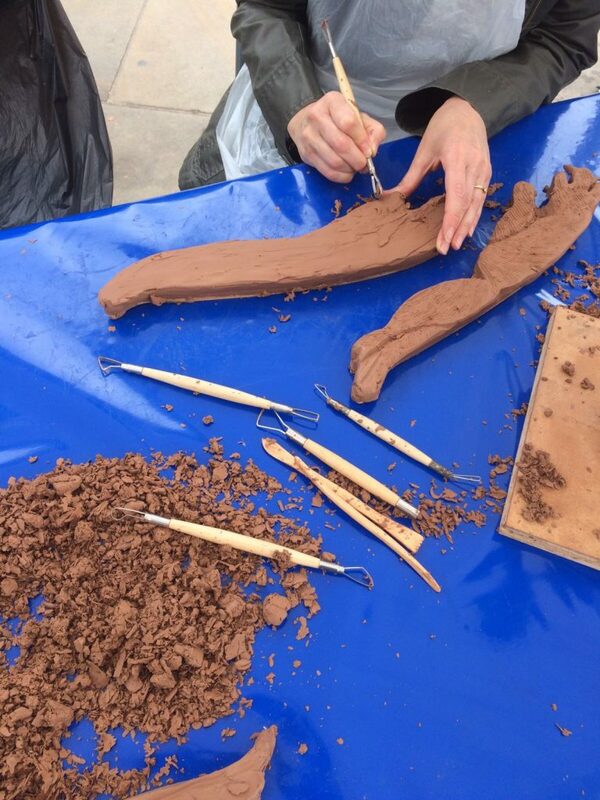 In 2016 Sarah’s inspiration came from thinking about the various trades both historically or currently practiced in Birmingham. 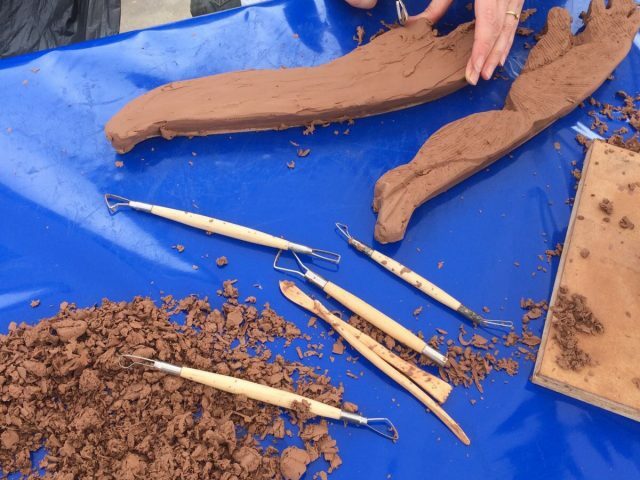 She invited the public to create their own sculptural tools of the trade out of clay based on their work or hobbies. 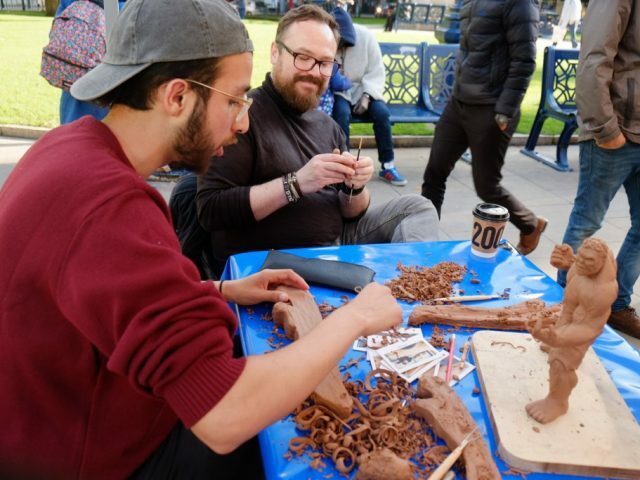 Items included a watch, knitting needles and a hammer used to tune a table. 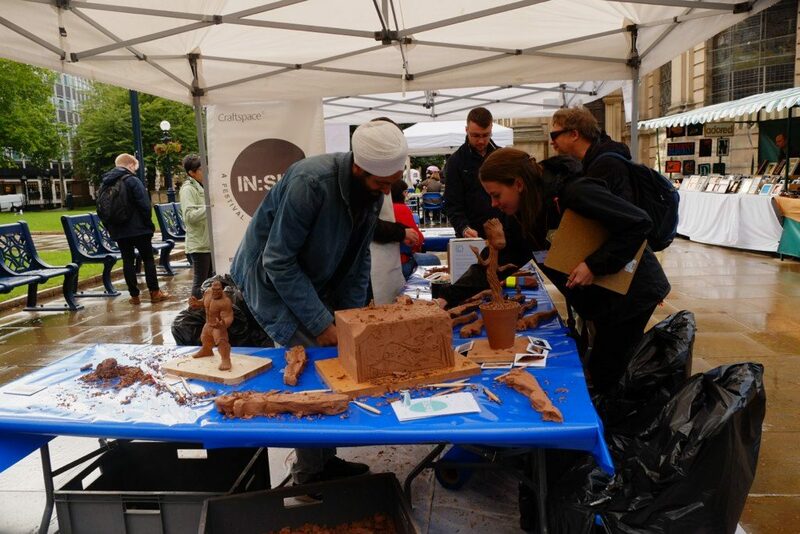 See images of Sarah’s work at In:Site 2016 on our Flickr. 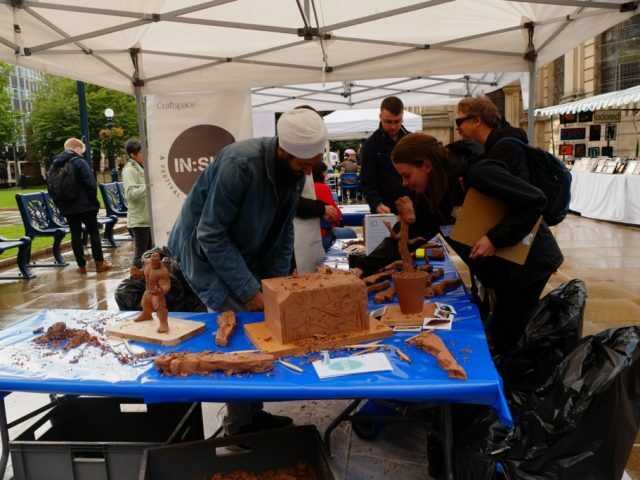 We invited Sarah back to In:Site, this time in collaboration with Jaguar Land Rover. 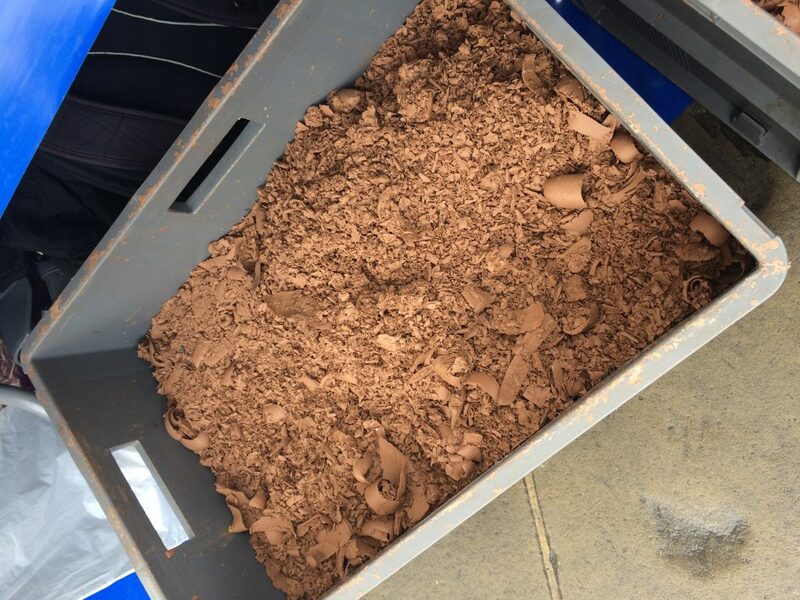 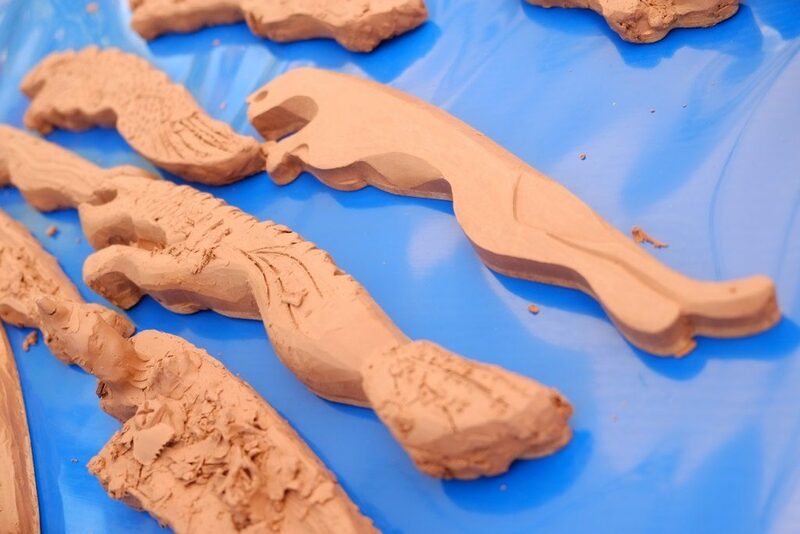 Jaguar Land Rover’s team of clay automotive sculptors brought blocks of industrial clay and pre-prepared Jaguars. 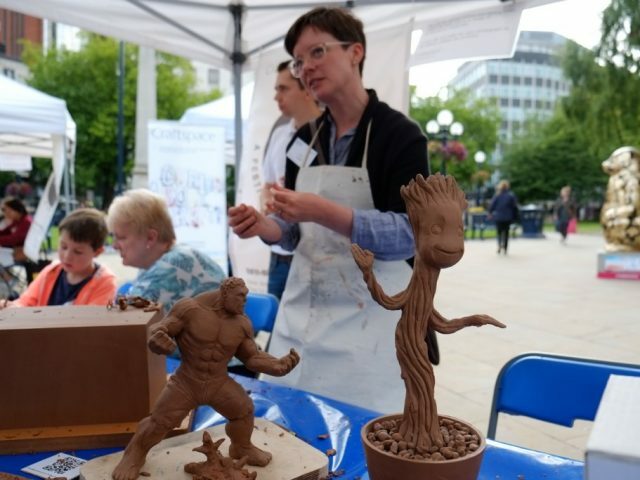 Sarah worked creatively with the team to show the versatility of the clay, using their clay modelling tools in new and exciting ways. 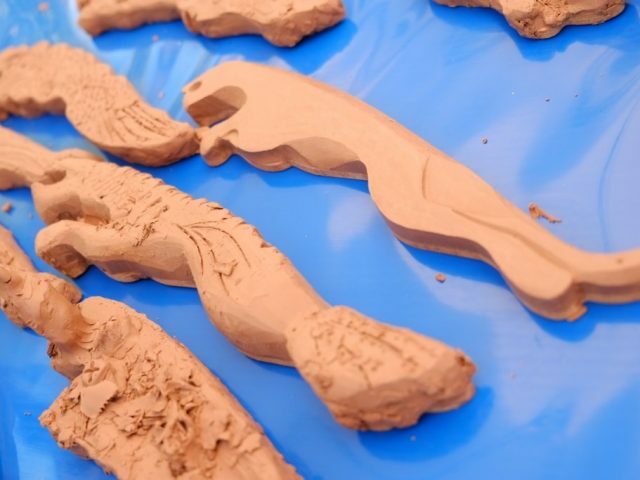 The Jaguar Land Rover team were happy to explain their clay modelling process and all about clay’s role in the car design process – for more information on clay modelling and how to get into a clay modelling career in the automotive industry go to facebook.com/claymotive. 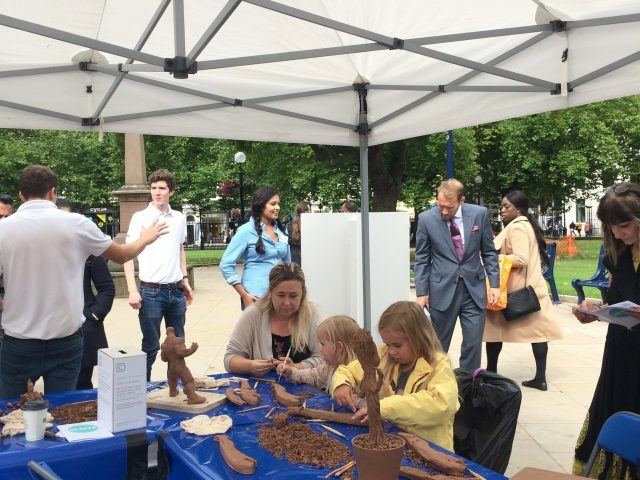 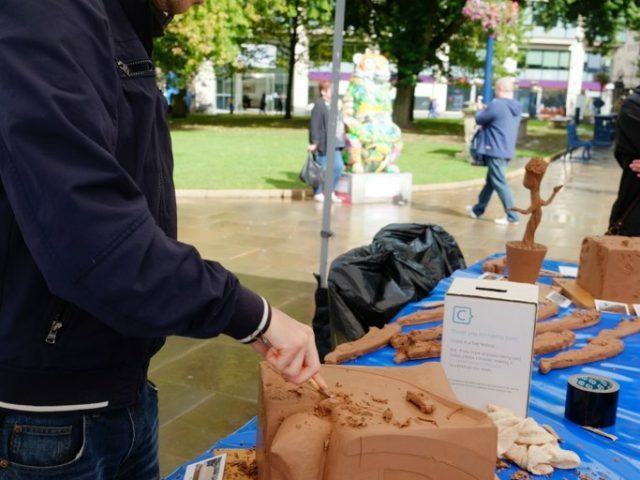 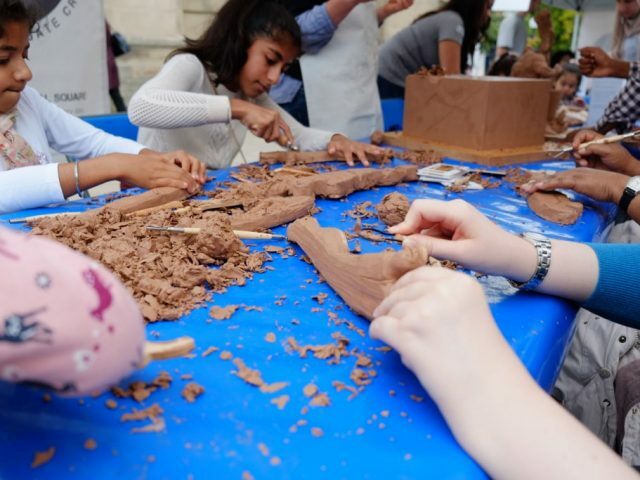 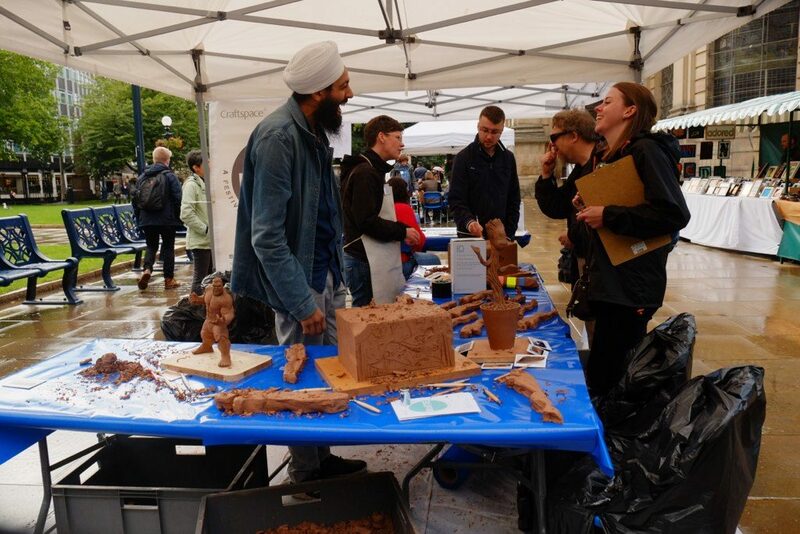 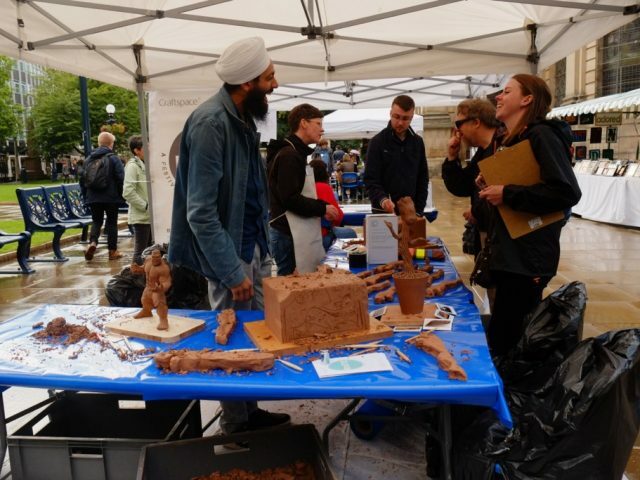 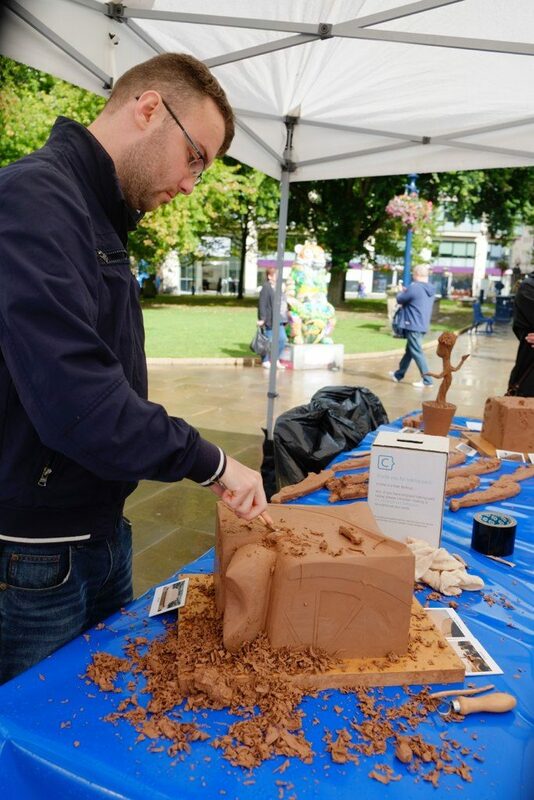 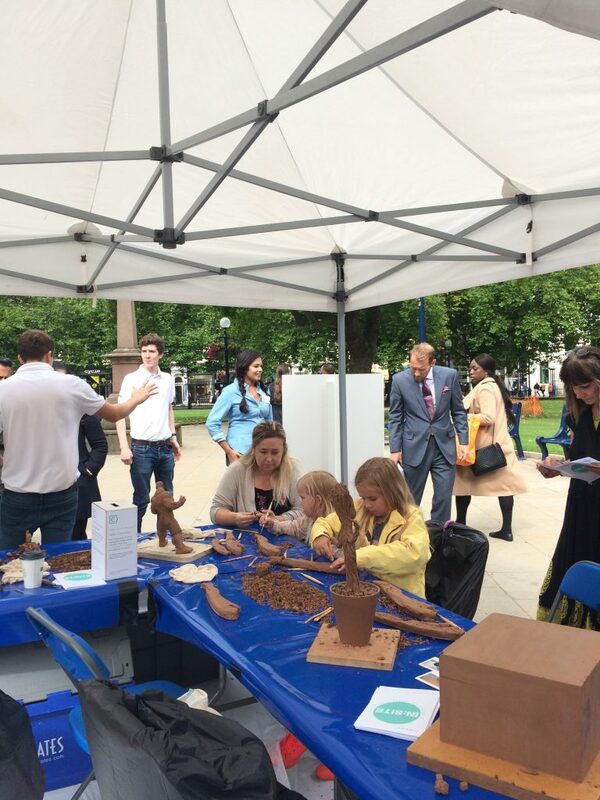 The public were intrigued by the clay, particularly the sculptures created by Jaguar Land Rover clay modeller Shabaz. 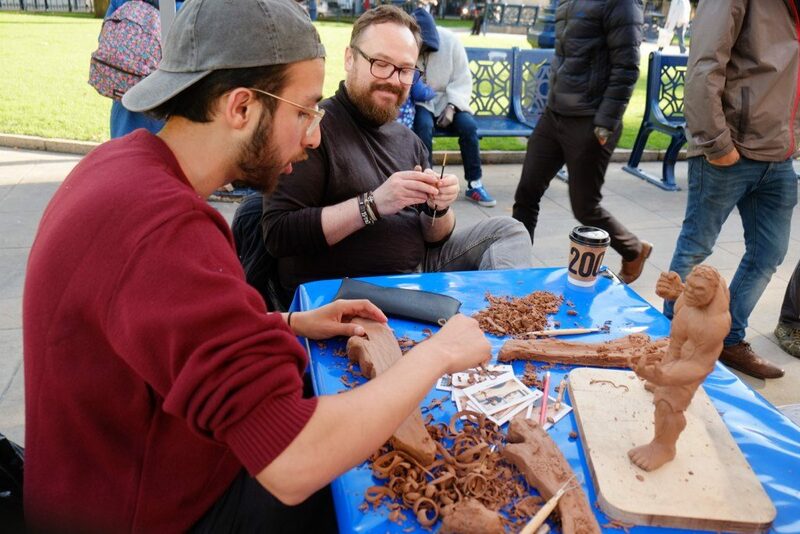 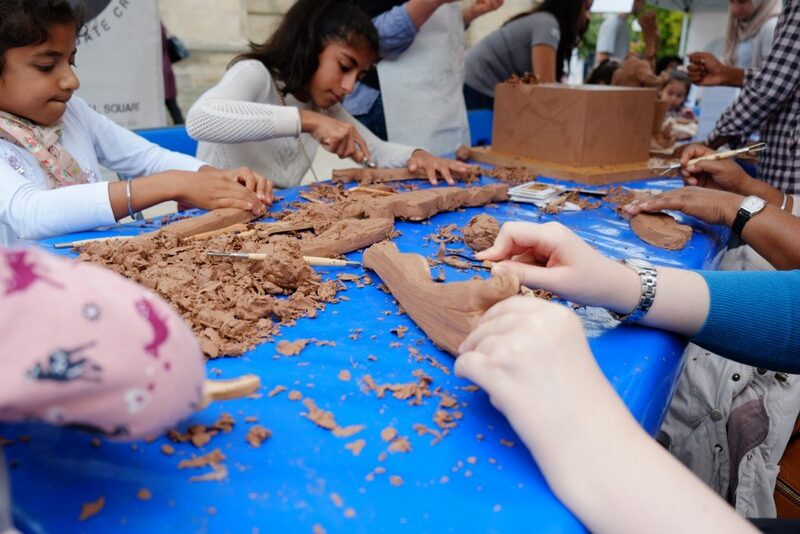 Throughout the week passersby sat down and got stuck in to sculpting Jaguars with the clay. 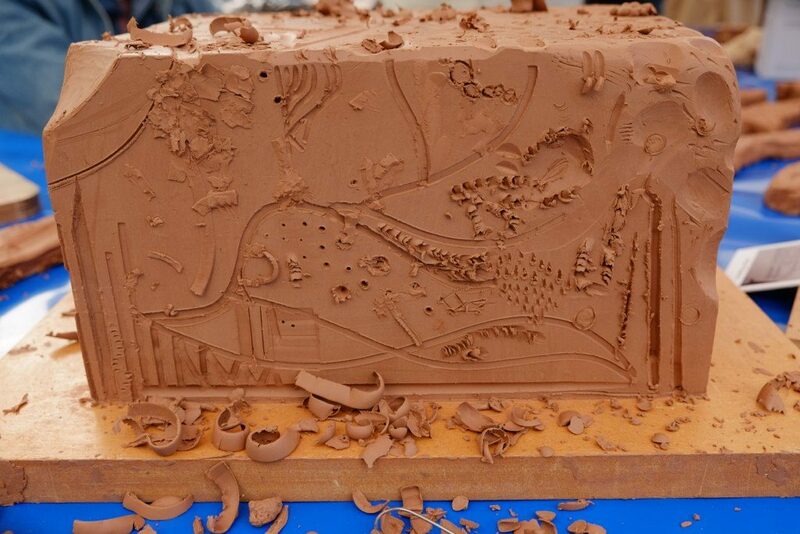 A lady even took hers home, worked on it (with a nail file!) 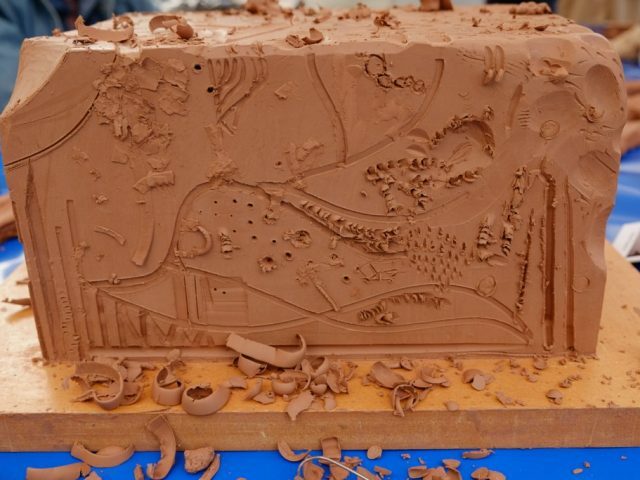 and brought her finished Jaguar in the next day to show the team! 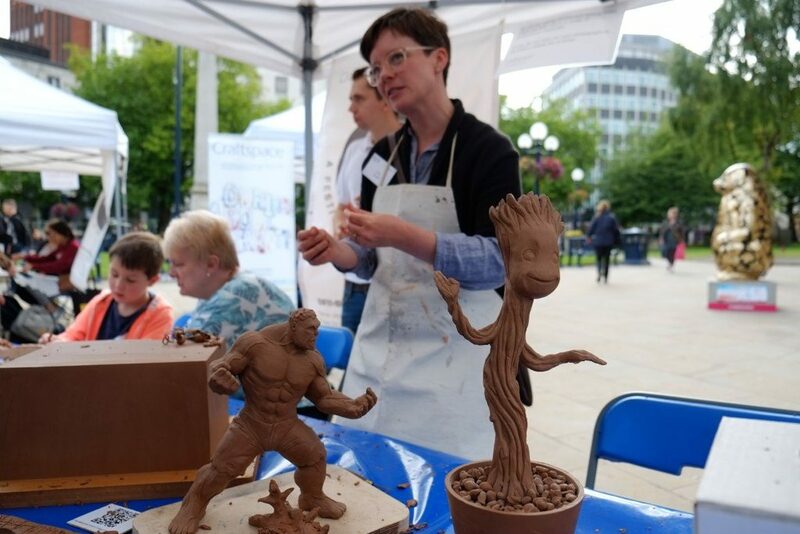 There were also dedicated visitors who returned through the week to sit, sculpt and chat to the team about clay, art and cars. 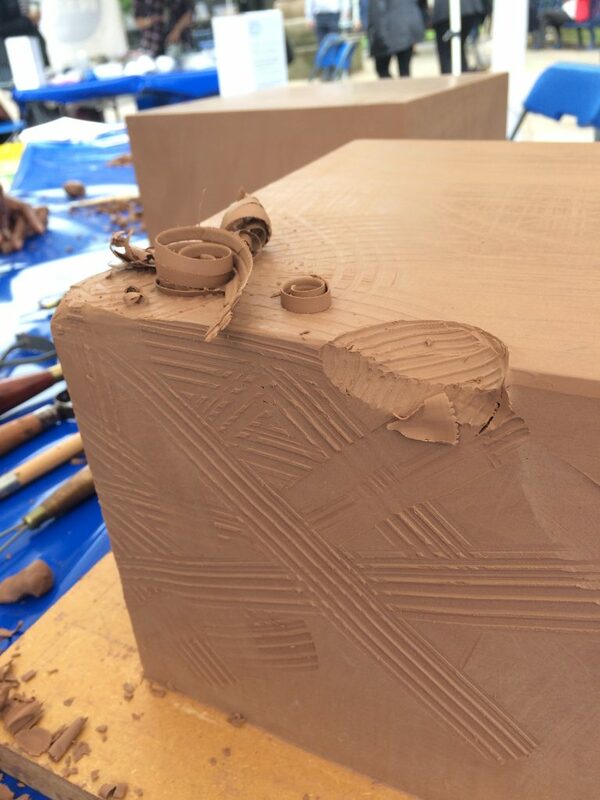 By the end of the week the blocks of clay had a variety of markings, patterns and additions to them – made by the public and the team!